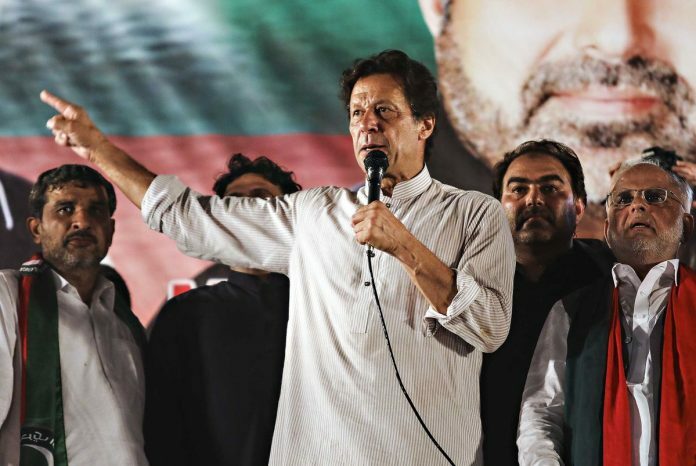 Pakistan Prime Minister Imran Khan has said that the treatment meted out to Muslims in India today proved why Partition took place, Geo TV reported. He was addressing students from Balochistan in Islamabad. “The way Muslims are treated today in India has made people realise now why Pakistan was born”, he was quoted as saying. “They [Modi government] rebuffed all my overtures”, he added. Former Pakistan prime minister Nawaz Sharif has lashed out at successor Imran Khan for alleging that his government had used artificial means to control the dollar to keep the rupee stable, reports Geo TV. He said that, under his tenure, there had been a balance between the rupee and the dollar. The Pakistan rupee witnessed a steep slide recently, with its value falling to 140/$ before recovering slightly. “If they say we used artificial means to stabilise the dollar, then they can do it too,” Sharif said. Pakistan President Arif Alvi has claimed that, back in the 1970s, he paid a bribe of Rs 50,000 to get an analog telephone installed, reported Geo TV. In his speech, the President also spoke about the importance of promoting e-voting to ensure elections were held in a transparent manner. Mudassir Sheikha, the co-founder and chief executive officer of a West Asia-based ride-hailing app, is the only Pakistani among the 50 people identified by Bloomberg as the top achievers of 2018. Others on the list include Hollywood star Reese Witherspoon and director Ryan Coogler. In 2012, Sheikha helped found Careem, which today allows people to hail not just cars, but also bikes and boats, reported The Express Tribune. Careem has grown into a more than $2 billion business, and emerged as a tough competitor to Uber. The company has more than a million drivers. “Technology is enabling regional economies to leapfrog traditional infrastructure challenges around transportation, banking, and communication,” Bloomberg quoted Sheikha as saying. Careem Pakistan congratulated Sheikha from its Twitter handle for making it to Bloomberg’s 2018 list.